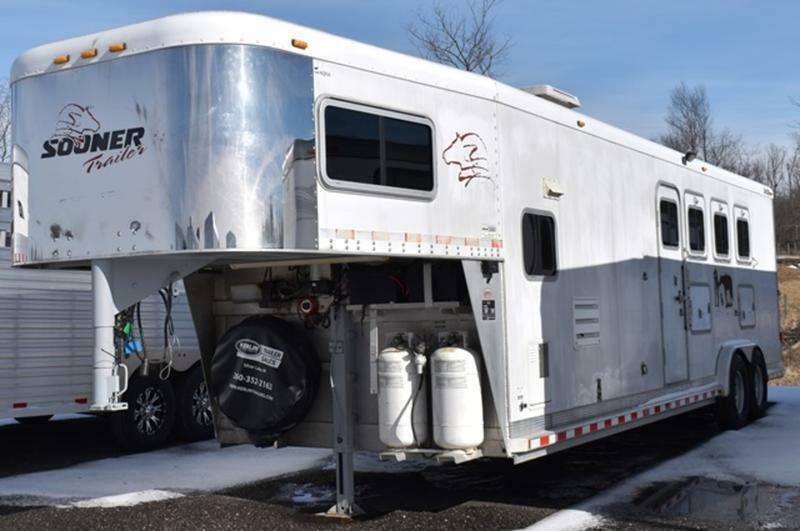 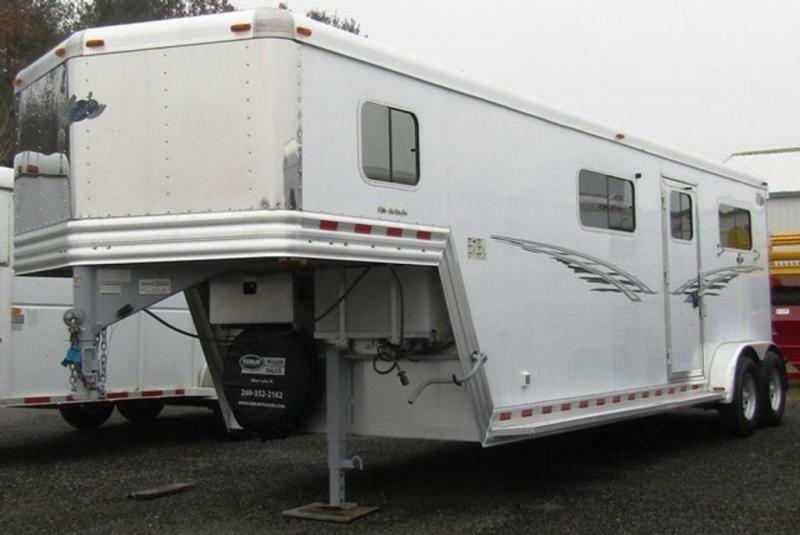 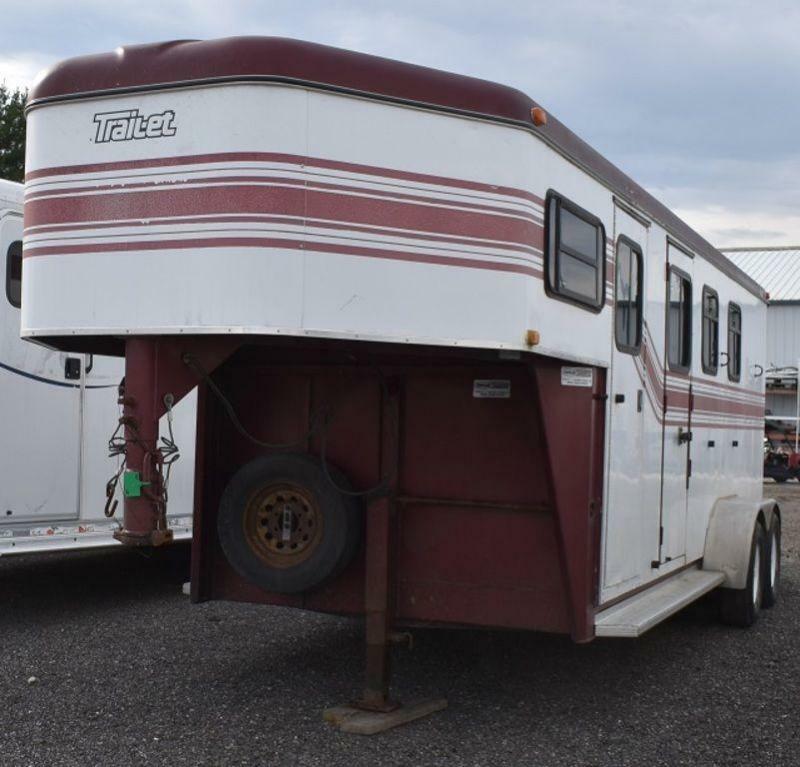 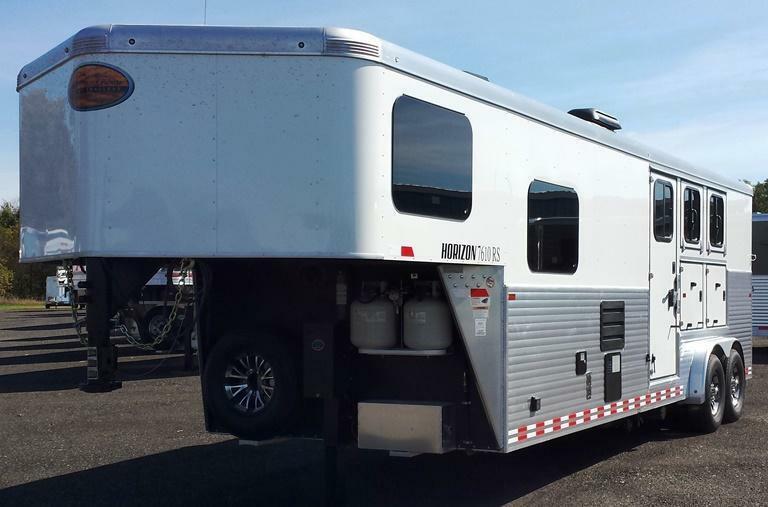 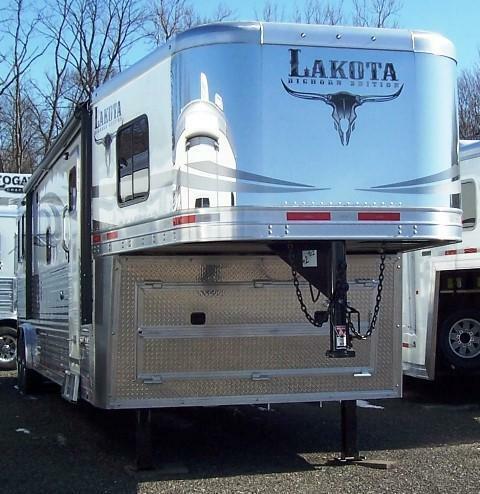 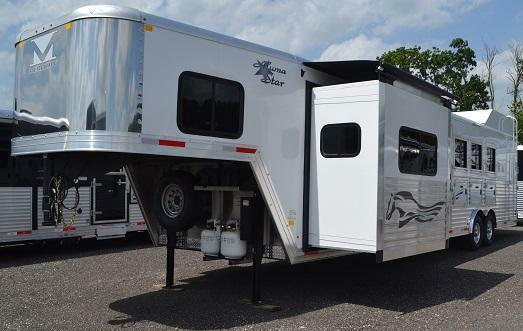 You'll love this loaded 2017 Lakota three horse trailer! 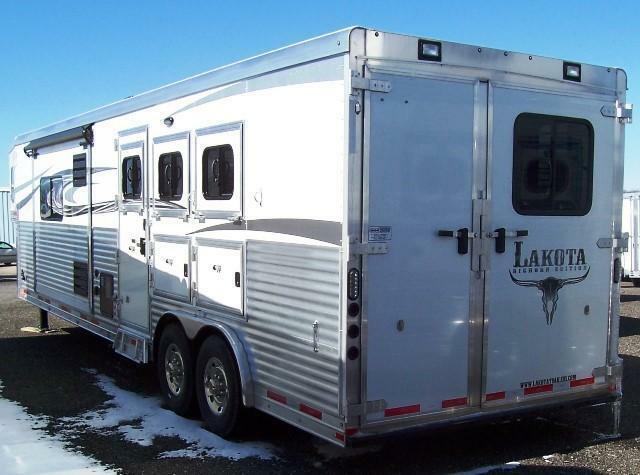 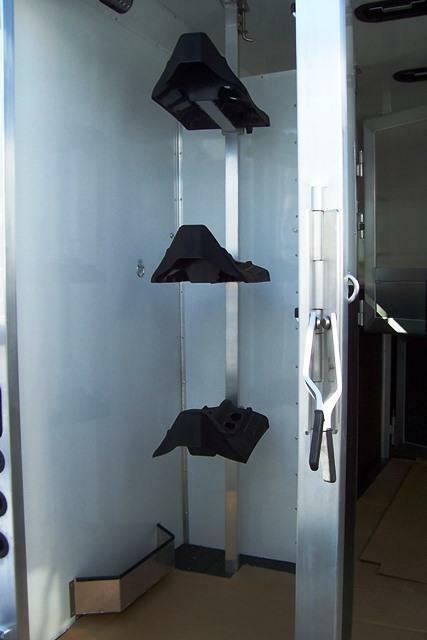 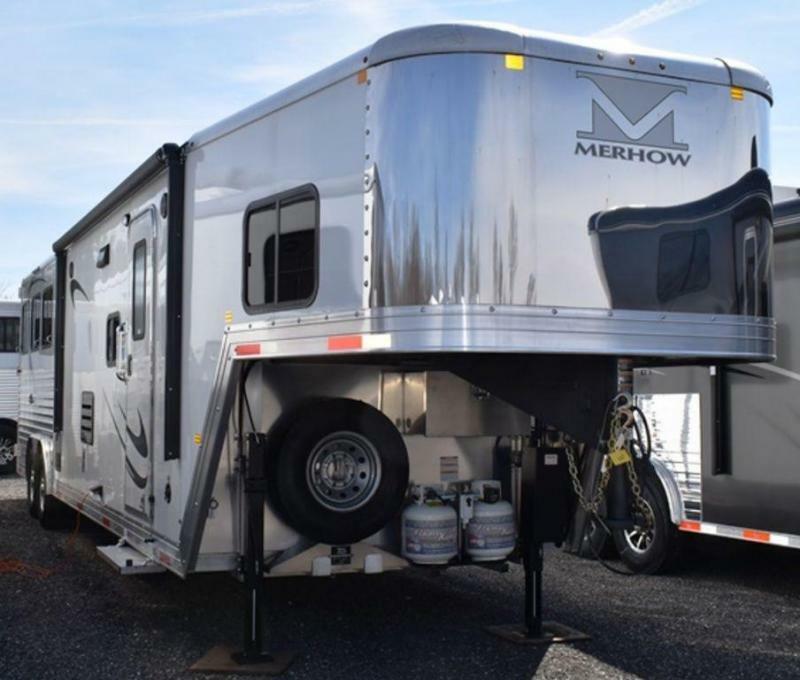 The stalls comes with vortex rubber coating, mangers, drop down windows, escape door on the front stall, rear sliding windows, and a rear tack which contains three saddle racks. 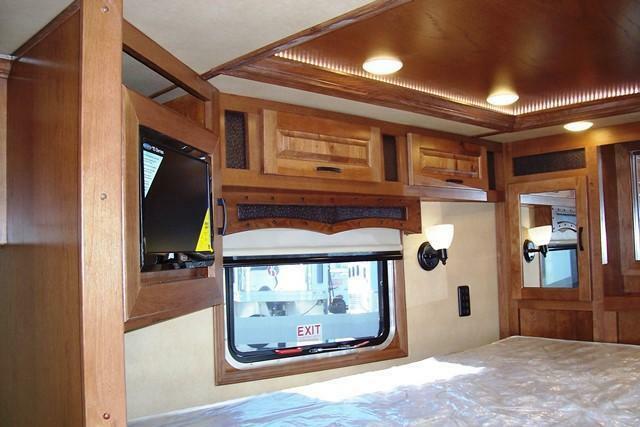 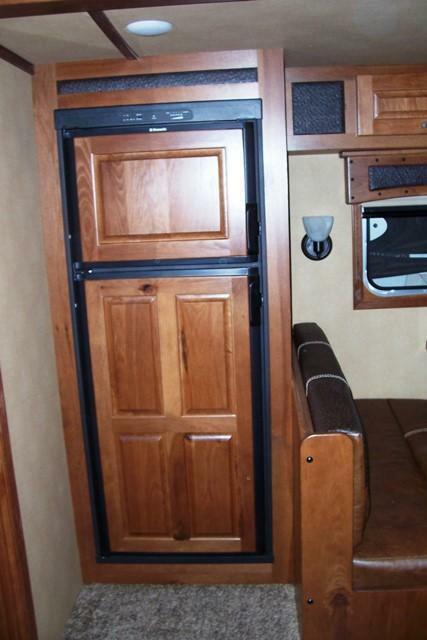 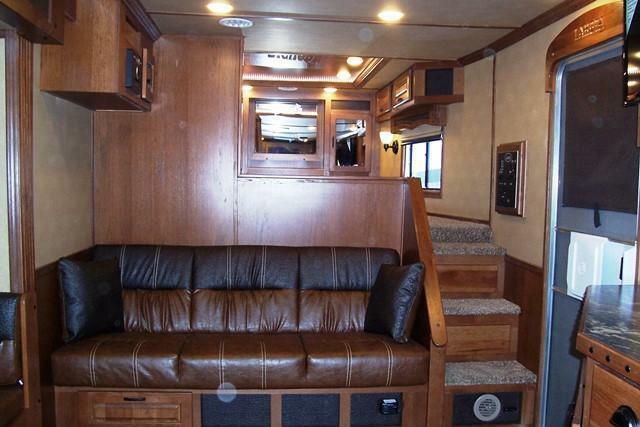 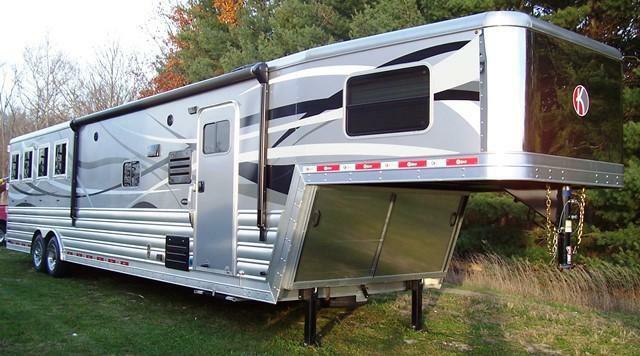 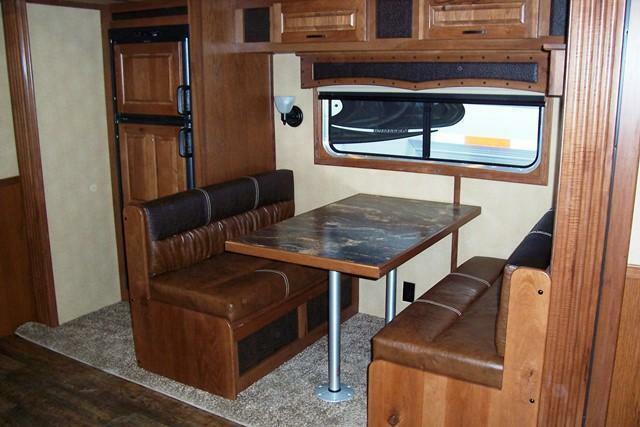 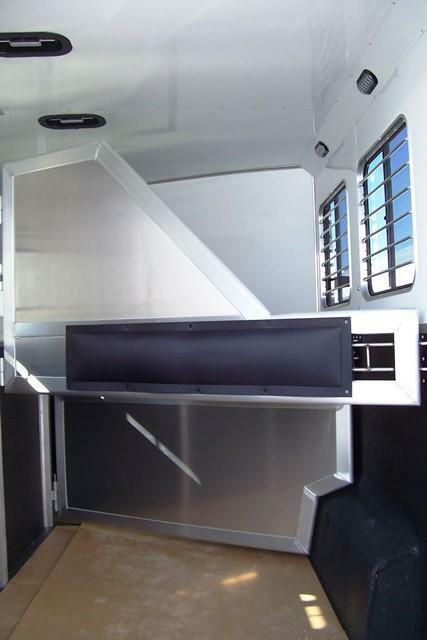 The 16' living quarters with a slide out gives you a spacious interior. 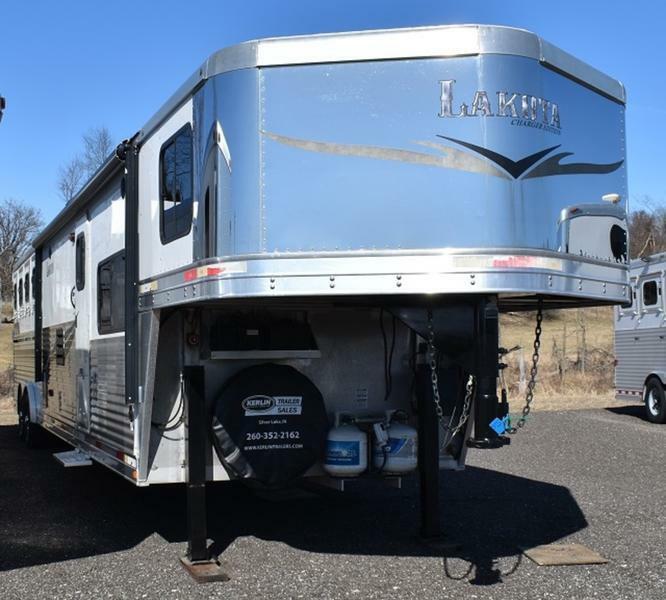 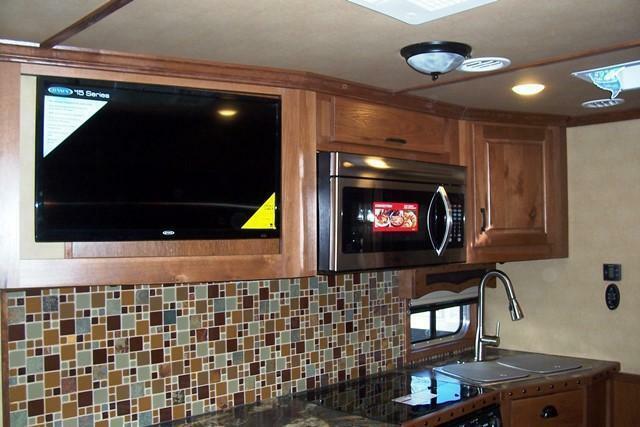 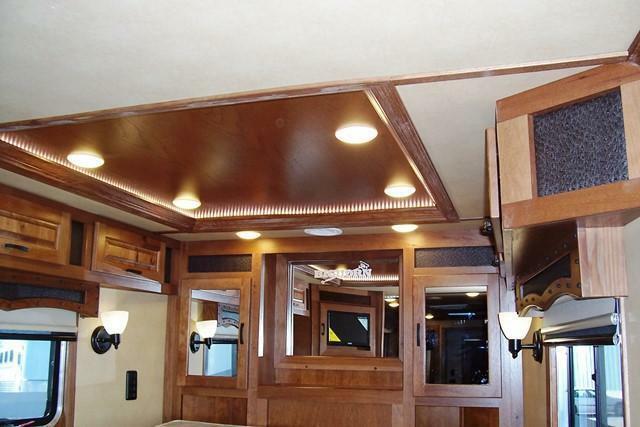 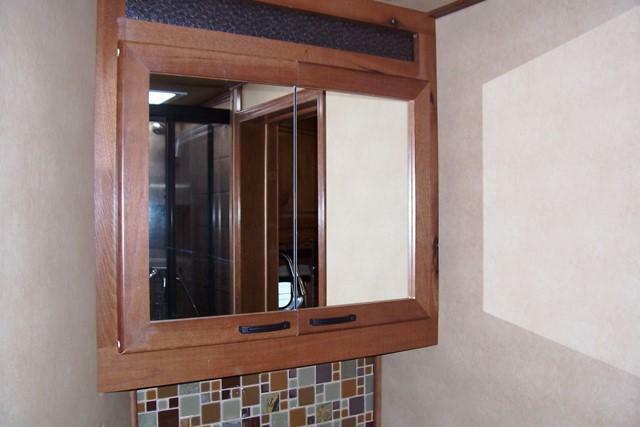 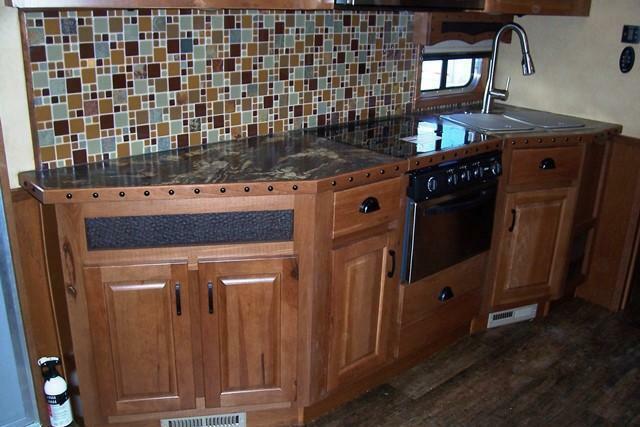 You'll find it comes fully loaded with a dinette table which converts to a bed, beautiful wooden cabinets for storage, refrigerator, leather sofa, multiple televisions, overhead microwave, stovetop, radio system, A/C, and furnace. 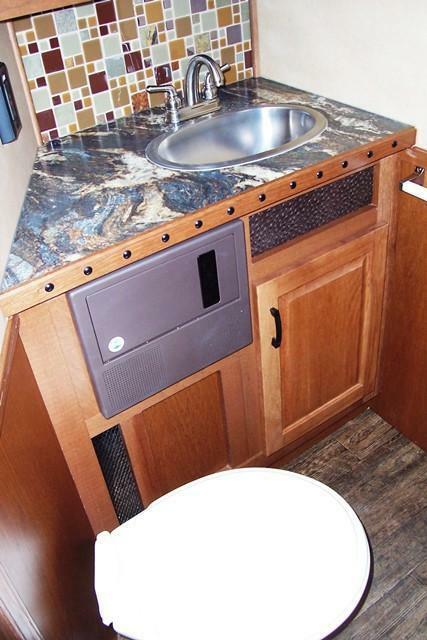 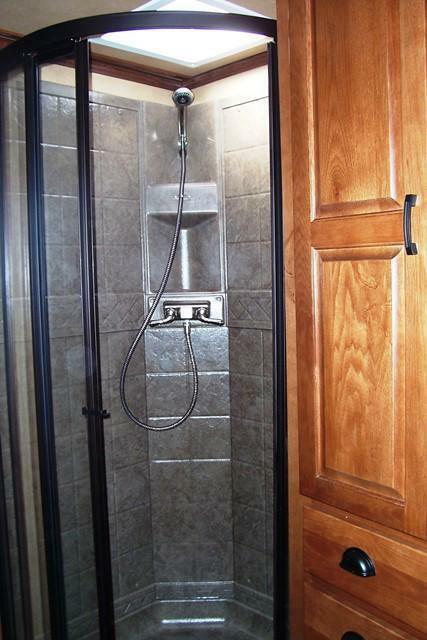 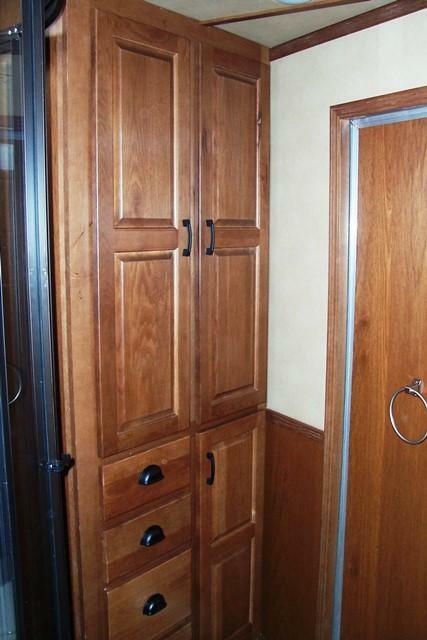 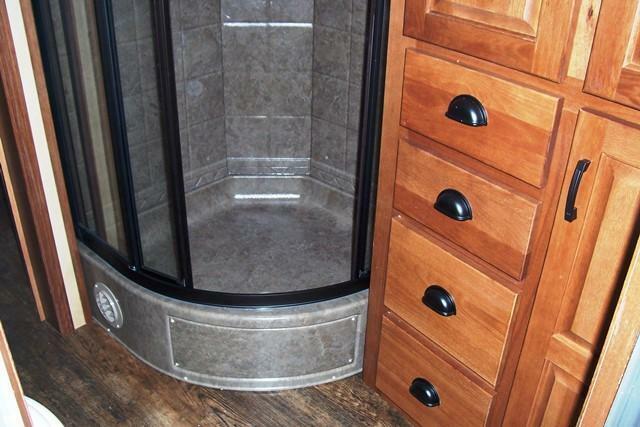 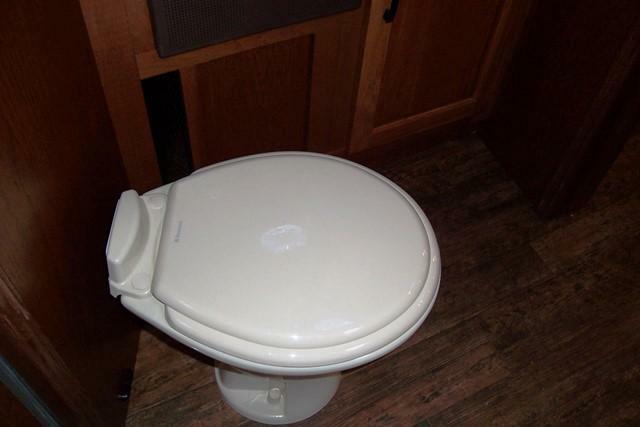 The spacious bathroom consists of a glass door shower, large vanity, medicine cabinet, storage cabinets, and a toilet. 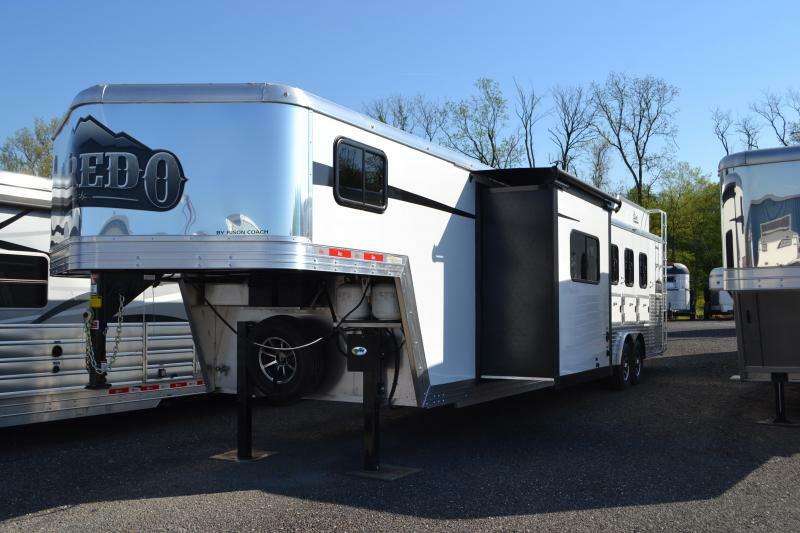 Beautiful trailer with unmatched quality! 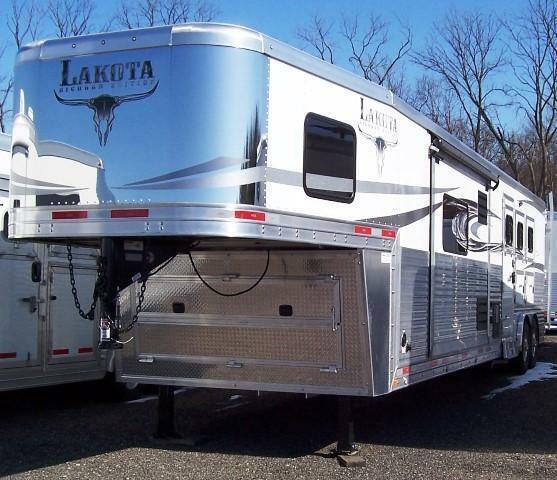 We can arrange financing and delivery is available.